Your Oxnard business probably faces a great deal of competition these days. This means you need to come up with a unique way to attract more people and give them a reason to come inside. This is why many local businesses are getting their Oxnard signs from Dave’s Signs. We offer a wide range of business signs, customized to your specific needs. Here are some examples. Front lit letters are bright and visible because the faces are translucent and light shines through them. In some cases, the letters can appear to be pure or solid light. Front lit channel letters lend a great deal of flexibility to sign design. At Dave’s Signs you can choose from a wide range of fonts and sizes so you aren’t stuck with a standard looking sign. 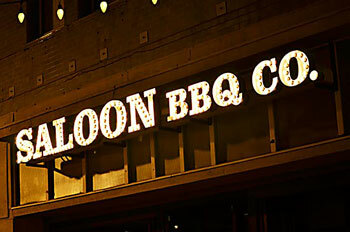 In fact, it’s possible to mix both front lit and reverse lit letters on the same sign for a most effective and unique look. This is exactly what we did for El Dorado Mexican Restaurant. The “Dorado” of El Dorado glows from the sun inside the letter “O” and the “Mexican Restaurant” letters are the perfect contrast, making it one of the most unique Oxnard signs. The exposed neon sign is nothing new but it’s a classic that still demands a great deal of attention. In fact, if you are looking for a vintage appeal you can’t go wrong with a custom made neon sign from Dave’s Signs. We are very proud of the job we did for Toppers Pizza. This is the large neon sign with the huge tomato on top, you are probably familiar with. This sign is not only big enough to attract a great deal of attention, it is also bright and colorful. When people see the “Eat More Pizza” sign with the large arrow pointing to the building, there is no doubt where to go for pizza in Oxnard. Once you get people inside, you can further impress them with the right kind of interior signage and Dave’s Signs has many options to show you. Good interior signage creates a sense of unity in an office or interior and everyone (including visitors and employees) knows where to go at all times. Your interior signs can be simplistic yet very powerful like the Oxnard signs we did for Stateside Engineering Services. 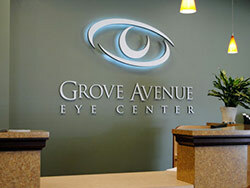 Interior signs can enhance ambience, branding, and make a dramatic first impression. When you choose Dave’s Signs for your interior signs we can completely customize them to fit your unique Oxnard business. Are you located in Oxnard? Call us at (805) 641-1387 with your sign questions or click here to request a free quote.